International Women’s Day is a global celebration of the social, economic, cultural and political achievements of women. It is also a chance to recognize challenges still faced by women, and take action towards a better future. 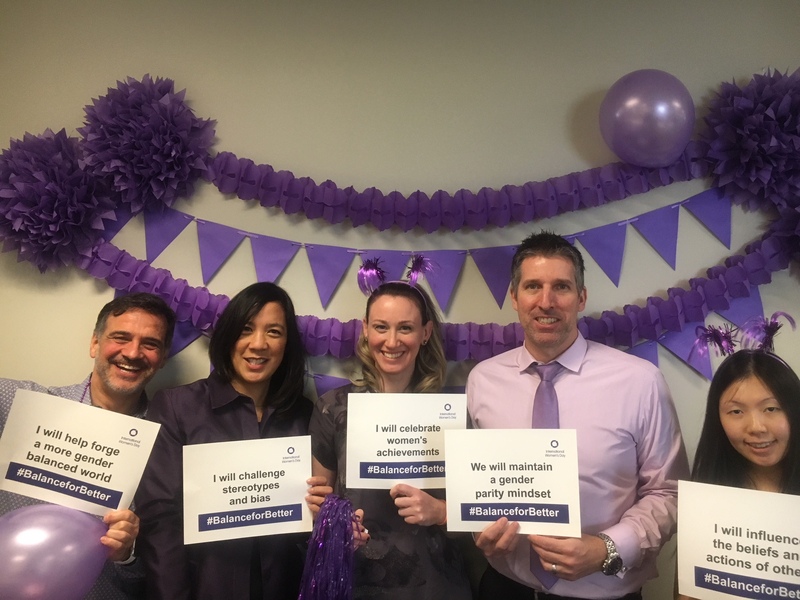 On March 8th, 2019, our Raymond James colleagues across the country wore purple to raise awareness for this year’s #balance for better campaign. 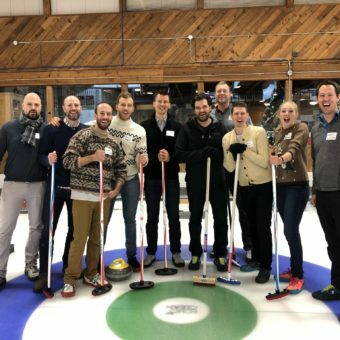 Our teams took action by hosting unique fundraisers in support of local charities working to improve the lives of girls and women. 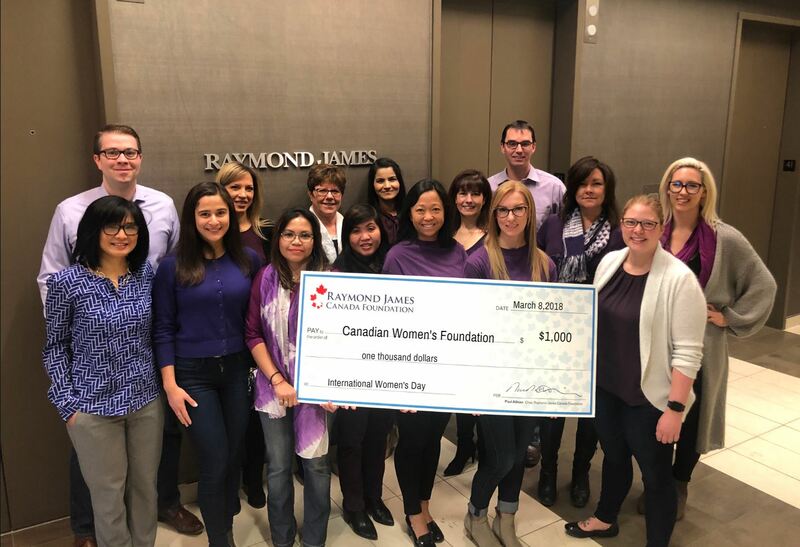 The Raymond James Canada Foundation is thrilled to augment our colleagues’ efforts by providing additional grants to each recipient charity. Together, we raised nearly $7,000 to help build a better, more gender-balanced world. “Advocating for females, equality and inclusion is something I’m really passionate about,” explains Amanda Collinge, Manager, Operations Performance CSG. 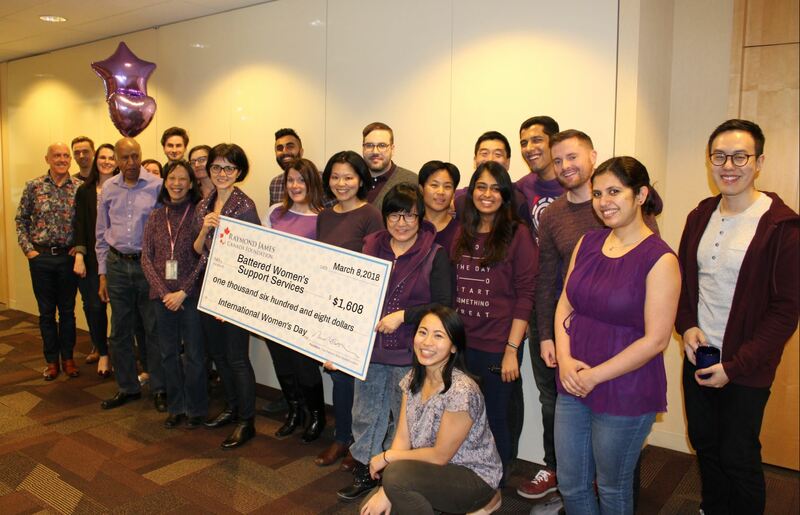 This passion motivated Amanda to organize a hugely successful IWD fundraiser for our Vancouver Corporate Services Group. “I wanted to create an event that was fun, exciting, inclusive, and provided a learning opportunity” says Amanda, “and Bingo fit the bill!” The bingo game took place by email throughout the day, and included facts and statistic about gender bias in the workplace. 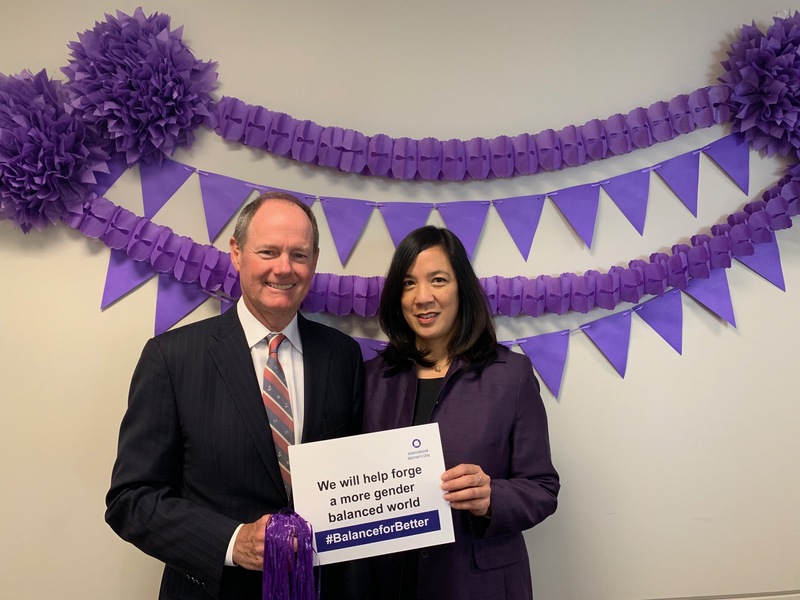 Funds raised will support Battered Women’s Support Services, who provide advocacy and support services to women who have experienced abuse. BWSS promotes safety and equality, and aims to eliminate oppression and violence against women. “The Battered Women’s Services Society was selected as the Bingo charity as in the past I’ve had personal experience with domestic violence, and the BWSS is an organization that’s providing help to those who need it right here in our community,” explains Amanda. Amanda’s brilliant bingo idea inspired other teams to get involved. Led by Jen Gibson, Senior Branch Administrator, Vancouver’s Cathedral Branch also held a bingo fundraiser in support of the Dixon Transition Society. “It certainly created a buzz around the office!” says Jen. “It was fun and interactive, but it also brought awareness to the continued barriers that millions of women still face.” The Dixon Transition Society helps to reduce the impact of domestic violence by providing a safe haven for women and children through transitional housing programs, counselling and outreach services. The Cathedral Branch has proudly supported their life-changing work for the past 13 years. 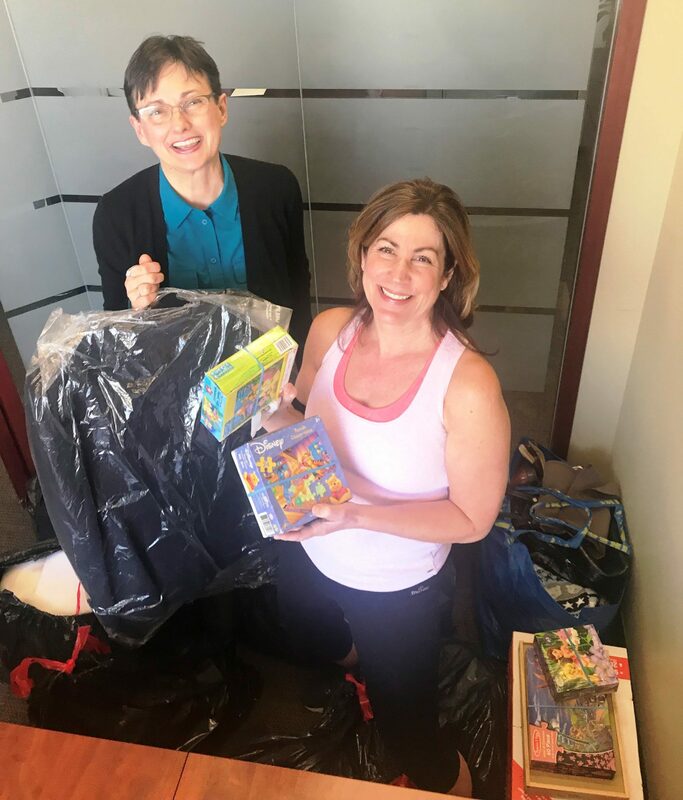 Our Kelowna branch also took up the bingo challenge, raising funds for Mamas for Mamas, an organization that supports mothers in crisis, and provides ongoing support to low income mothers and their children. Funds raised will go to support Sistering, a multi-service agency for at-risk, socially isolated women in Toronto who are homeless or precariously housed. Their services support marginalized women from diverse backgrounds. The funds collected will go to support Canadian Women’s Foundation. CWF is Canada’s public foundation focused on systemic change to support women’s economic development, girls’ empowerment, inclusive leadership and prevention of gender-based violence. 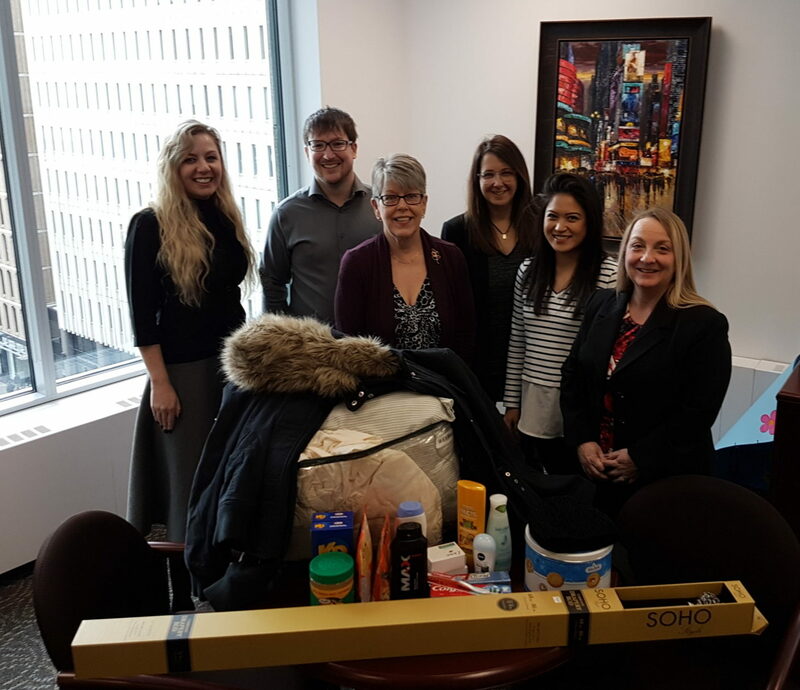 In Victoria, our colleagues did some spring cleaning at home and at the office to collect essential household items to be donated to two local women’s charities focused on housing. “As a branch, this cause is near and dear to our hearts” explains Nadja Lawrence, Branch Administrator. Women In Need Community Cooperative helps women achieve healthy, environmentally and financially sustainable lives for themselves and their families. 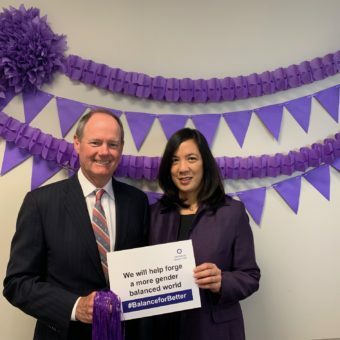 Victoria Women’s Transition House Society works to prevent intimate partner violence and abuse through supportive shelter, housing, counselling and other community-based services. 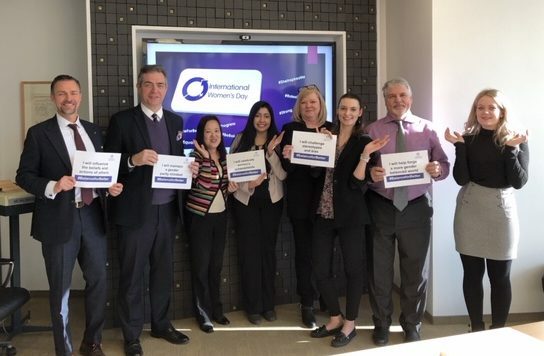 Thank you to all our Raymond James Ltd. colleagues who participated in our 2019 International Women’s Day initiatives!